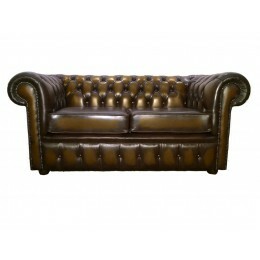 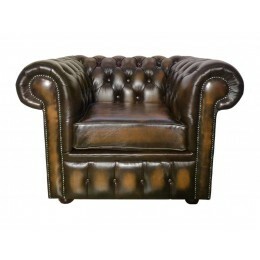 This traditional genuine leather chesterfield antique brown two seater sofa bed has been handmade in the UK. 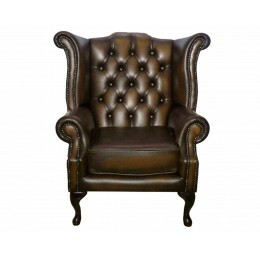 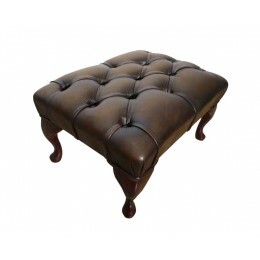 This British classic design has a low back and deep seat cushions, companied by the scrolled arms which are complemented with tarnished brass beadings. 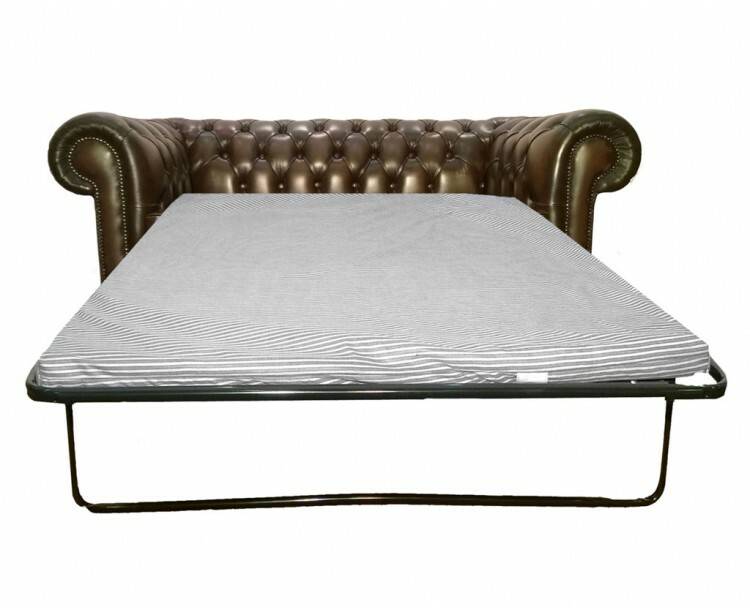 The hardwood frame and mahogany wooden feet help keep the sofa bed strong and long-lasting. 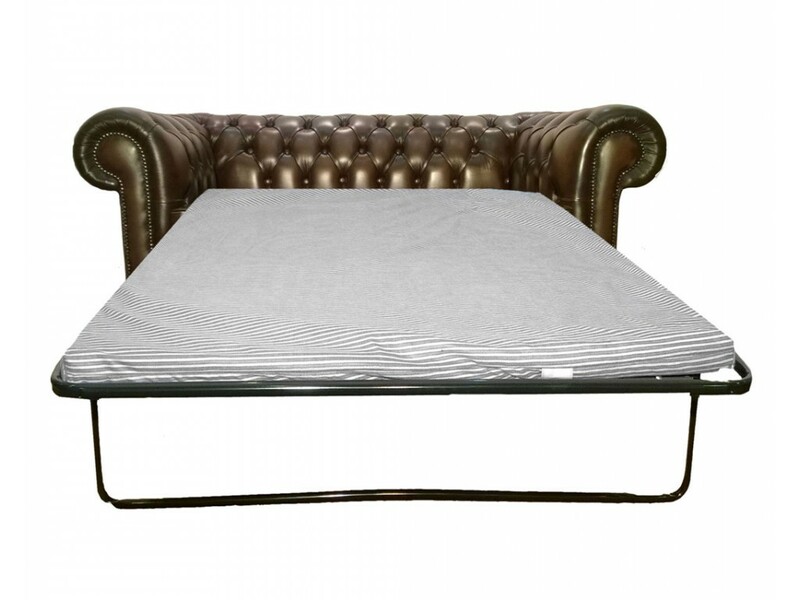 This sofa bed has a unique design with its pull out metal frame durable foam mattress making it perfect for any room.